Following President Emmerson Mnangagwa invitation for dialogue to all the 2018 Presidential election contestants, Crisis in Zimbabwe Coalition (CiZC) has called for an inclusive and broad based process not confined to political parties only. In a statement released today, CiZC said restricting dialogue to political parties will only create a political pact that excludes the concerns of ordinary people. “As an umbrella body of civic society organizations in Zimbabwe advocating for democratic governance and we reiterate our call for an inclusive process on the national dialogue that brings all stakeholders together beyond political boundaries. “In this regard, we hold the firm view that the national dialogue process must never be restricted to political parties but should rather bring on board a cross section of stakeholders that include civic society, labour, women, youth, person living disabilities, farmers, media, students, the diaspora, religious groups and business among other critical stakeholders. “Restricting the dialogue process to political parties will only create a political pact that excludes the concerns of ordinary citizens. This therefore underlines the importance of an accepted by all stakeholders and guarantor at the African Union or United Nations level,” said CiZC. The organisation vehemently opposed the idea of another Government of National Unity which they said is usually an elite power sharing deal that excludes the citizens. “We further clarify that in our view the national dialogue that we continue to call for is not predicated on creating another version of a Global Political Agreement (GPA) or an elite power sharing deal. “We reiterate that our envisaged national dialogue should be a reform process that seeks to safeguard the interest of citizens by restoring the Social Contract between the citizens and those that govern,” added CiZC. There have been wide calls for national dialogue to arrest the deteriorating economic and political situation in the country. 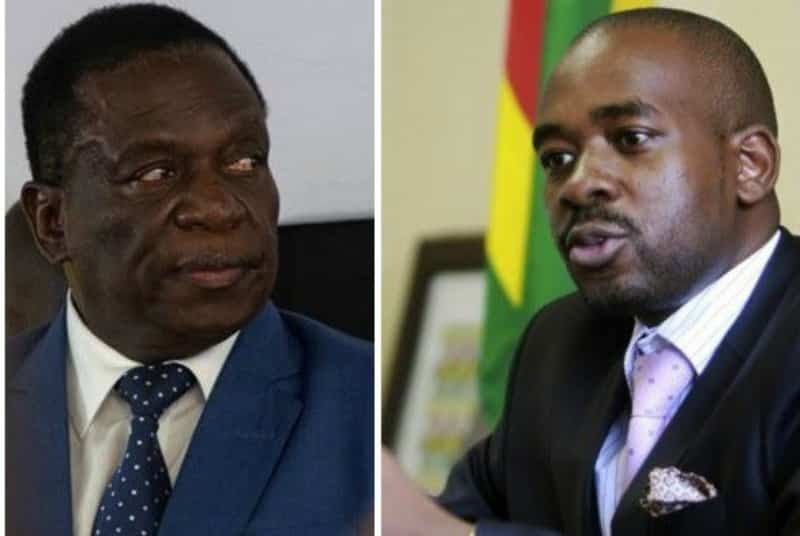 Mnangagwa has insisted that Chamisa should first recognize him at the winner of the 2018 elections while Chamisa on the other hand has continued to describe his political foe as an illegitimate leader.